A globally respected energy company sought a fully automated assembly cell that would seamlessly interface with all of their current ancillary automation equipment to feed and unload the new machine. 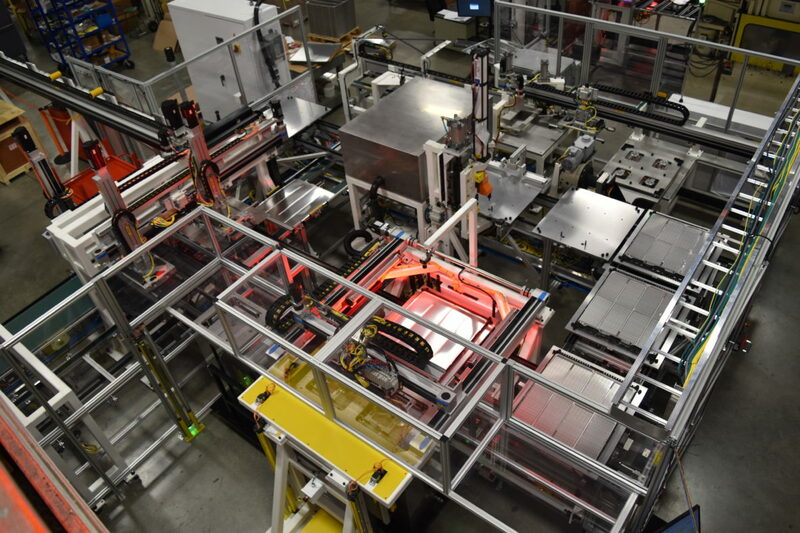 The team at Ahaus was able to design and build equipment that would complete hands-off production of 276 parts per hour at full capacity with automated loading and unloading of the machine. Using technology such as vision and laser marking, Servo motion and I/O Linc CommBus, this machine not only builds the necessary part, but also utilizes complete data tracking of each part during the build cycle.